The folks at Aston Martin's ultra-luxury division Lagonda have been busy lately. The company showed a concept for a full-electric sedan at Geneva, with plans for production, and have now revealed a preview of a full-electric crossover SUV concept. It doesn't have a name yet, but, like the Lagonda Vision Concept, it's a look at a future production Lagonda. And although the Vision Concept was shown first, this crossover is planned to hit production two year's earlier in 2021. Aston Martin Lagonda only released one image of the crossover, and, well, it looks unique. We only get a look at the rear 3/4 angle, and the car above it is clearly the Vision Concept. Lagonda says the crossover is inspired by the Vision Concept, and looking at the photo, it does appear to pretty much be the Vision Concept but with a taller ride height and an extended roofline to create a hatchback. As for what we can expect from the crossover, we can extrapolate from the Vision Concept. Lagonda announced that it has plans for its production EVs to have a range of about 400 miles with solid-state batteries. Its vehicles will also be all-wheel drive. 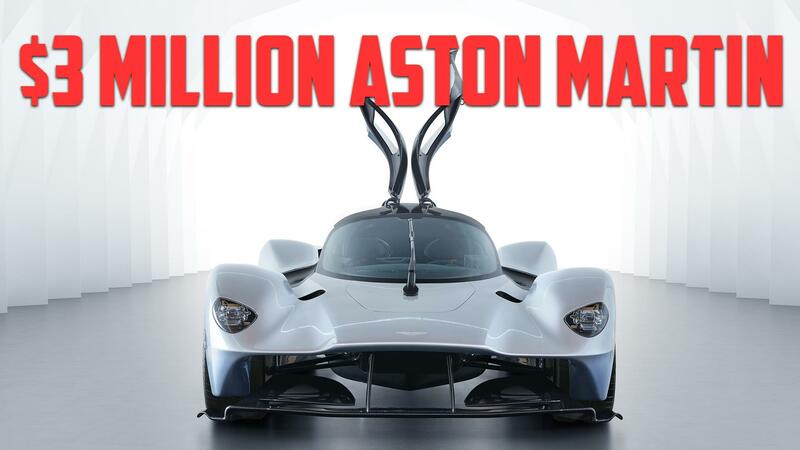 Only time will tell whether Aston Martin and Lagonda will be able to deliver on long-range, solid-state battery-powered cars within three years.